My wife and I are considering re-locating to the Seattle area in a couple of years. Wondering if anyone has any info on Sea-Tac area airparks. Anything within a two hour drive of SEA would be fine . . .
2 hours from Seatac gives you a lot of choices, that's pretty much KAWO to KCLS, farther if you ignore traffic delays. I'm not sure, but I'd guess you have as many as 50 airparks to pick from in that radius. Ill just add that the reason you have few responses is that a 2 hour radius from Seatac just about gets you to Portland OR, or Canada or east of the Cascades. Narrow your search parameters and you might have better luck. Good luck with your relocation in a few years. Keep an eye out in General Aviation News. They have lots/property listed every two weeks and is a local publication from Lakewood WA. All the best. "Seek to understand before trying to be understood"
Olympic mountains. Nice weather and beautiful scenery. Check it out. I learned to fly @ S-36, Crest Airpark. I think most of the fighting & lawsuits have run their course. I keep my RV-8 in a hangar there. Western Airpark in Yelm is pretty nice. Kapowsin is south of Pierce County Airport, it's residential, and the skydiving operation has moved away, so it should be quiet. Evergreen Sky Ranch is on the Enumclaw plateau east of Auburn, its grass. Some of the residents there are very active in Washington Pilots Assc. and Antique clubs. Vaughn's egg ranch (grass) is on the west side of Puget sound, near Port Orchard. Sometimes there is a home for sale there. Frontier Airpark is a gated upper scale community east of Arlington Airport. Arlington is a major activity center for experimental, soaring and general aviation. 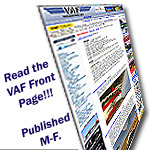 Check out the EAA326 web page, contact someone and attend a meeting, that would go a long ways to getting familliar with the area and meeting RV fliers. Those are some of the airparks in the region that come to mind. There are smaller private strips with fewer homes, it takes a bit more time to find and explore those. That's fun. You have a good point (about the two-hour search radius). So far my searches on the internet have only yielded about 10 places, so I'm hoping to hear about the "hidden gem" that's hard to find. Seems like some of the airparks don't have a website, so finding out about them is not real easy. That's some good info. I'll definitely look into those places. Frontier looks like a very nice pklace from what I've found and heard.